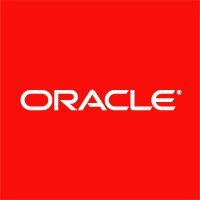 A new integrated enterprise service called Social Relationship Management (SRM) Suite was added this week to Oracle Corporation array of services. The service will enable companies to interact across multiple social platforms in real-time. According to Oracle, social media has changed the rules of business. With this product, Oracle hopes to encourage organizations to use social media to transform their corporate business processes and systems. The service includes Oracle Social Network (OSN), Social Marketing, Social Engagement and Monitoring Cloud Service, Social Sites, data and insights. SRM is built to integrate with other Oracle enterprise applications, including Fusion Marketing, Fusion Sales Catalog, ATG Web Commerce and Enterprise Resource Planning (ERP). SRM is also integrated with Oracle Platform Services, including Oracle Java Cloud Service and Oracle Database Cloud Service, enabling marketing teams to integrate social with their custom Web pages, landing pages and marketing tools.